Religion is in competition with the leisure and entertainment industries. The postmodern generation is open to spirituality, but young adults have not been born into faith communities that embrace them fully and command their allegiance over a lifetime. Studies suggest that for the young, belief in God is an optional matter, a consumer choice, and different trends in contemporary worship and worship styles are offered by churches to suit personal taste. What is in these trends that might appeal to "Gen Y"? Are they worship, or something other than worship? 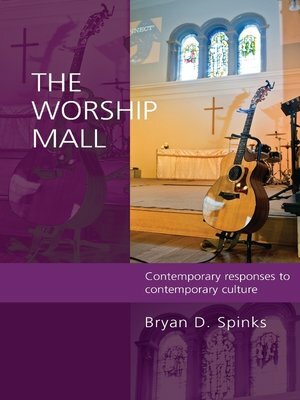 Bryan Spinks invites you to walk through The Worship Mall and see what is on offer in the postmodern culture.